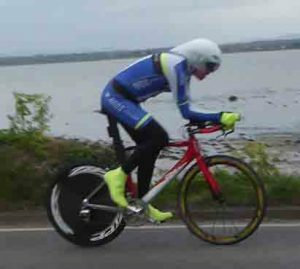 It was great to see five women taking part in the re-arranged 10k time trial on the Portaferry Road this evening. Experienced Gillian Orr (North Down) was fastest, but the next three were separated by just 17 seconds. 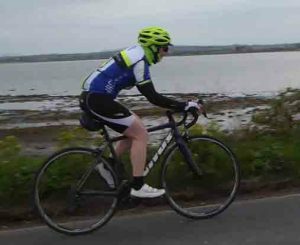 Hopefully they will not have been put off by the cold wind and heavy traffic, and we’ll see an even bigger turnout at next week’s 10 mile time trial in Millisle. Fastest on the night was Ivan Robinson (Ards CC) with 13:19. On handicap, Niall Brown just got the better of John McDowell to take an early lead in the 10k Cup. Thanks as always to the time keepers and pusher off. npt = no previous time (at this distance in an Ards CC race, while a member).